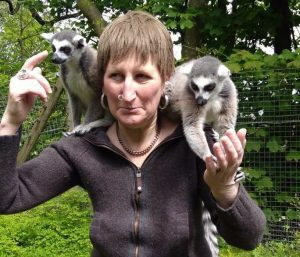 A reindeer named after self-unemployed Queen of the Black Country, Doreen Tipton, has left DZG to go on new adventures in Chessington. Doreen the reindeer, pictured on grotto duties last year, has left the Black Country behind to join a new herd at Chessington World of Adventures Resort in Surrey. 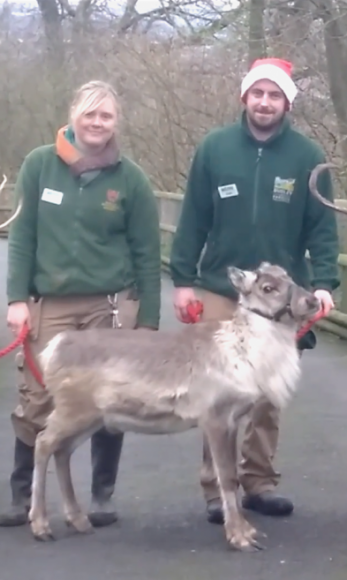 In July, zoo staff surprised the popular comedienne by naming a reindeer after her when she was on site filming her DVD. 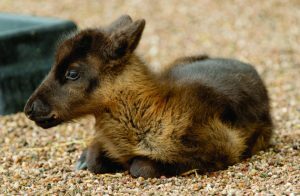 The young reindeer had been born three months earlier and staff thought the name Doreen would be a nice tribute to the star. We are now left with nine females in our collection.